It’s happened again and will happen over and over unless these “Sanctuary” locations come to their senses. Come to their senses…how silly. This time the immigrant was released from the Middlesex County jail in New Jersey. 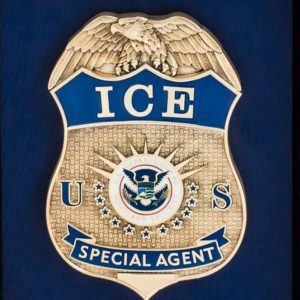 Was there an ICE detainer, yes…was it honored, no, of course not because some politicos think that illegals have the rights of US citizens. Once again all the Sheriff had to do was notify ICE when this creep was being released. ICE could have taken him into custody and three people would be alive today. The Sheriff blamed everything on ICE. Of course he did. No one wants to take responsibility for foolish actions/activities. Upon release this evil soul went to Springfield, MO where he and his posse killed 3 people. Oh, he’s in custody after some excellent police work…but did this have to happen? Hey you sanctuary folks…ICE is there to help, to make the community safer. Just let them do their job. Remember “Serve and Protect?” That means everybody. Even US citizens. What a concept. A BIG tip O’ the Cop’s Perspective hat to all veterans…past, present and future. Carry On! STAY SAFE, BUCKLE UP, WEAR YOUR VEST AND TURN ON YOUR CAMERA! !